Addressing delegates at the Royal Pharmaceutical Society annual conference, president Martin Astbury stressed the importance of maintaining the quality of pharmaceutical services for patients as new technologies and laws are introduced. Any further technological advances and legislative changes in pharmacy must maintain a high standard of pharmaceutical care and patient safety and must not lead to the removal of pharmacists from the high street, Royal Pharmaceutical Society (RPS) president Martin Astbury said in his opening address to delegates at the annual RPS conference on 4 September 2016. 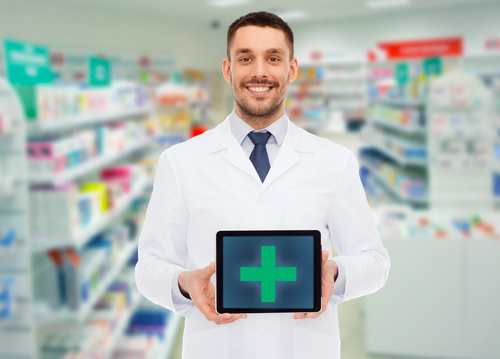 “Can we replace the community pharmacy network with an Amazon-style operation? Possibly, but, the value of having an expert health professional on the high street will be lost… that’s not making the best use of technology or the profession in my view,” he said. Astbury added that any changes made to the rules that govern the supervision of medicines supply from pharmacies should ensure that pharmacists continue to supervise the sale and supply of medicines. “It would be totally inappropriate for anyone other than a pharmacist to supervise the sale and supply of either prescription or pharmacy medicines,” he said. Astbury acknowledged the new models of care happening across England, Scotland and Wales, but highlighted that changes in law, technology and funding will all be important factors in whether or not the models are welcomed. Referring to the proposed cuts to community pharmacy funding in England, which he described once again as “unwelcome and short-sighted”, he emphasised the importance of recognising the scrutiny and pressure that community pharmacy is currently under. “It disappoints me enormously when I hear leaders of our profession, although attempting to talk up the new clinical roles that we all believe in, talking down the supply role that we do – they’re talking down the fact that we dispense 1 billion prescriptions safely each year,” he said. Although expressing concern for the future of the profession, Astbury added that he hoped ongoing work to gain additional resources through the pharmacy integration fund, proposed as part of the government’s plans for the community pharmacy sector and worth £300m by 2020–21, will lead to positive investment for the future of pharmacy. He also reflected on the success of the RPS ‘pharmacists in GP practice’ campaign after NHS England announced a £112m investment in new roles for pharmacists in GP surgeries in England, earlier this year, and now similar plans are in place to base more pharmacists in GP surgeries in Scotland and Wales. Astbury also went on to update delegates on the RPS’s focus on science, research and education and the guidance available for members in these areas, including the RPS Roadmap, which sets out a career pathway for pharmacy professionals, and a new mentoring service that guides pharmacists through the various stages of their career. Finally, Astbury explained the next steps in the Society’s journey from a royal society to a royal college and called for the support of members through the change. This article was amended on 4 September 2016 to reflect changes made to the speech delivered at the conference, which differed from the speech originally supplied to The Pharmaceutical Journal.